We thought you’d be interested in these stats from the Coeur d’Alene Multiple Listing Service. 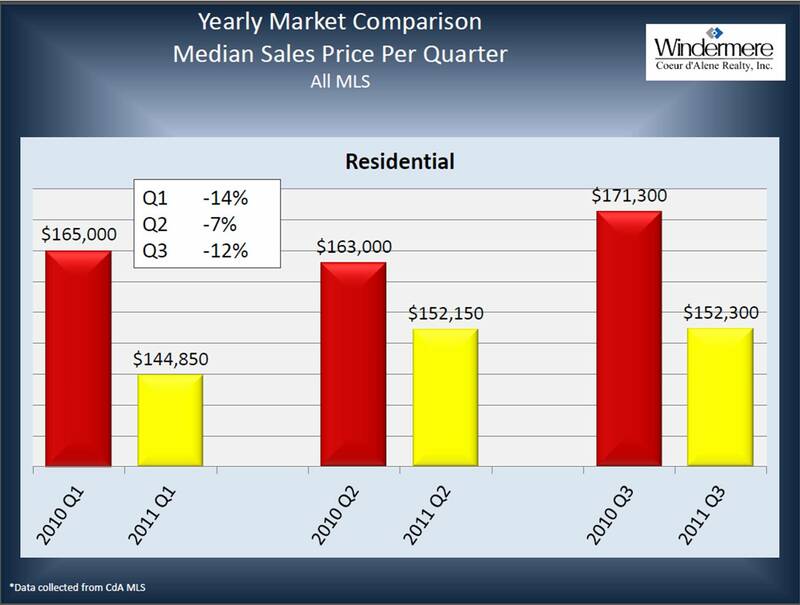 As you can see from the graph, 2011 Median Residential Sales Prices are DOWN in every quarter over the same quarter last year. This is Good News if you’re interested in purchasing Real Estate! With lower purchase prices and low interest rates, NOW is a TERRIFIC time to BUY! We would love to help you purchase your first home, your dream home, or your investment property. Let us help you “Own The Lifestyle”. Call or Text us Today! ~ by The Oetken Group on November 21, 2011.